When you get your PRINCE2 Foundation certification that is permanent. Great news. PRINCE2 Practitioner certification is slightly different. When you get that you can call yourself a "Registered PRINCE2 Practitioner" for 5 years and after that you can only call yourself a "PRINCE2 Practitioner"
​For those that want to maintain the professional recognition that being a "Registered PRINCE2 Practitioner" brings you will need to sit a "Re-registration Exam". This is a shorter form (1 hour) of the PRINCE2 Practitioner exam. Our certification body APMG recommends that you complete the re-registration exam between 3 and 5 years after passing your PRINCE2 Practitioner certification. If you do it later than 5 years you can still sit the shorter "Re-registration Exam" . Remember you can't call yourself a "Registered PRINCE2 Practitioner" in the period between the 5 year period expiring and the passing the ​"Re-registration Exam". You will need to determine the professional implications of this on you. Once you register you are given access to our Foundation course material. This allows you to refresh yourself on PRINCE2 and be ready for day 1. At the end of Day 1 we take you through Practitioner exam techniques. Between the 2 days you will complete the APMG sample exams. We give you the full Practitioner exams as they are longer and give you more questions to practice. There are two in total and each has a duration of 2.5 hours. So you can expect to spend at least 5 hours on this plus more time for revision. For those who want more Geoff has produced a large collection of Practitioner style exam questions as part of our Practitioner course and we let you have these. Day 2 is a half day. In the first part we review you exam practice and focus on questions and curriculum areas you are unsure of. The one hour exam is sat at the end of the morning. Our course price $1,490 including everything outlined on this page. In choosing a course we want people to be fully informed of their options. If you are simply happy to study on your own, without our support, you can buy the exam directly from APMG. 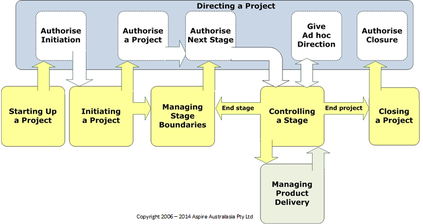 The information on this can be obtained on APMG's PRINCE2® Re-Registration page. If you qualified prior to January 2001 (approximately) your PRINCE2 Practitioner will not have an expiry date. We have clarified this with APMG and essentially you have the same status as an expired "Registered PRINCE2 Practitioner" in that you can only call yourself a "PRINCE2 Practitioner". You can however take up the "Registered PRINCE2 Practitioner" status by sitting (and passing) the Re-registration exam.